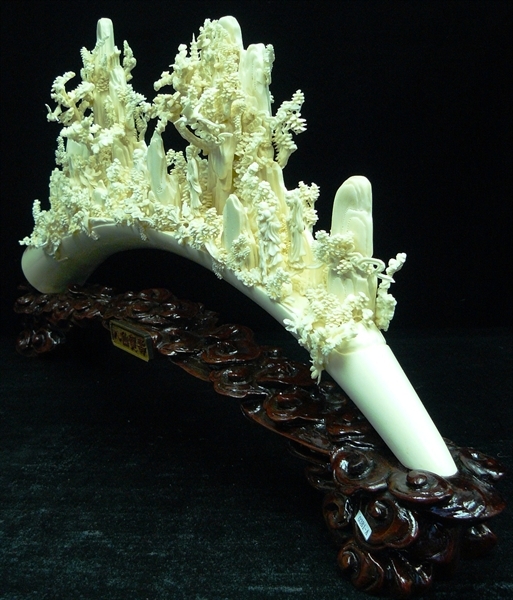 Size: Wide 28", Deep 5", High 15"
This beautiful piece of art is all hand carved from WATER BUFFALO BONES. 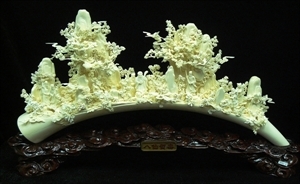 It is a tusk shape. 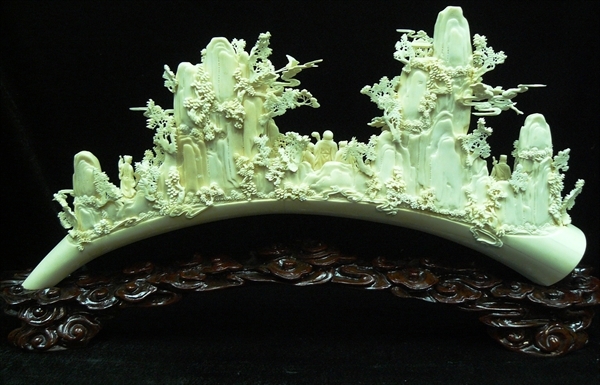 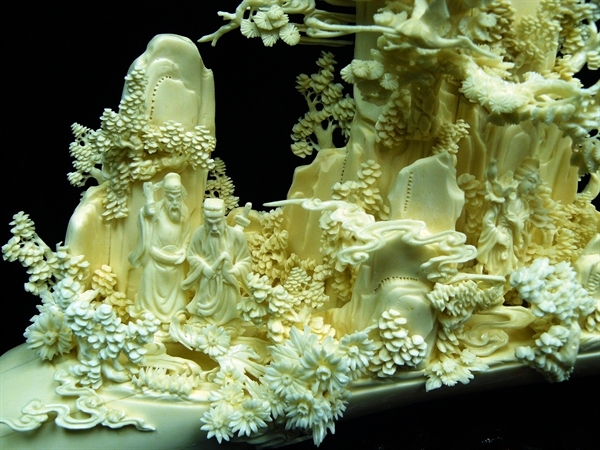 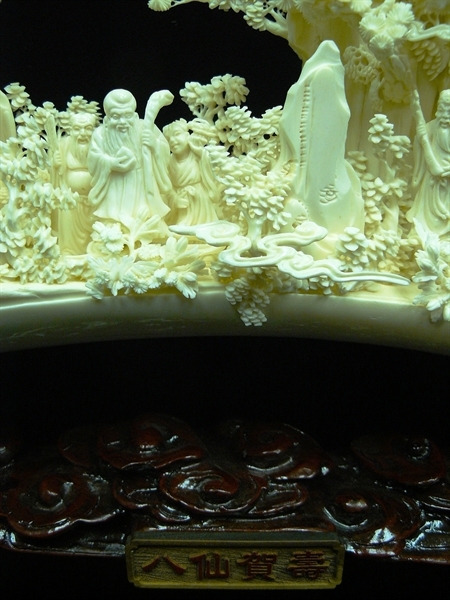 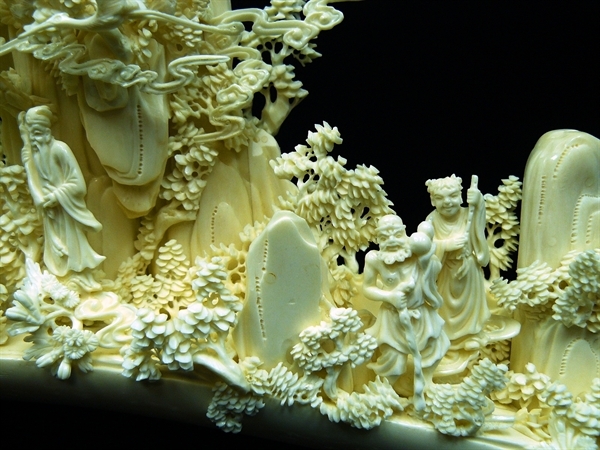 8 Immortals are carved on the tusk, together with trees, birds, temples, and mountains. 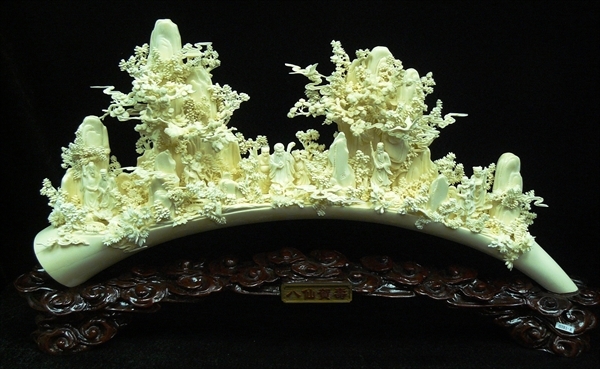 It is very unique and rare.